Couples often choose classic love songs for their first dance. Choosing your first dance song can be difficult since the song should reflect how you feel and be easy to dance to. Here are a few recommendations if you need help with choosing your first dance song. What Do The Lyrics Mean To You? Your first dance is a special moment. You and your spouse will remember this dance forever, and this is the occasion to show your guests how much you mean to each other. However, finding the perfect song for your first dance can be difficult. Here are some recommendations and a guide to help you find the right love song for this special moment. Romantic songs. A good first song dance should be about love, and the lyrics should be meaningful to you. We selected songs from different genres so you can find something that corresponds to what you like. Classic songs. A classic love song is a safe bet for your first dance. 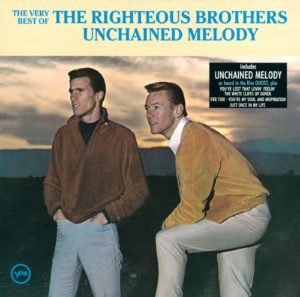 We tried including some classic love songs as well as a few more original options. Easy to dance to. We selected slow or mid-tempo songs since these are easy to dance to. We put together this list of love songs to help you get started in your search for a first dance song, but remember that there are plenty of other options to consider. Etta James’ 1960 recording of “At Last” was a huge hit and has been strongly associated with her ever since. It has become a staple of wedding playlists, whether it is played as a first dance song or at another moment during the wedding reception. 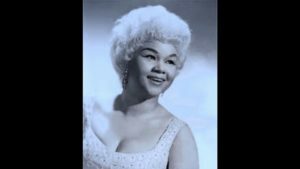 Etta James’ vocals are very emotional and passionate throughout the song. The lyrics are filled with beautiful imagery and evoke the idea of waiting for something that has finally come true. “At Last” has a slow tempo and it is one of these songs that seems to stop time and create a moment that goes on forever even though it only lasts for a few minutes. Choosing this song for your first dance will create a magical moment that everyone will remember. If you are looking for a different style of singing, listen to the covers recorded by Beyoncé and Celine Dion. This is a classic and timeless love song. The slow tempo makes this song very easy to dance to, and the song lasts under four minutes, which is ideal if you want a short first dance. The song stands out because of its lyrics and powerful vocals. The song is about two lovers who are separated and who long to be together again. Anyone who has ever been away from their significant other can relate to the song. We recommend this song for your first dance if you want a classic love song that is easy to dance to. 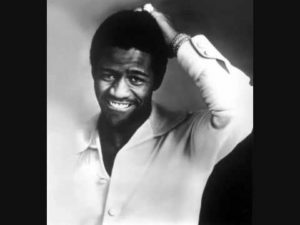 “Let’s Stay Together” is a classic soul song and could be an original choice for your first dance. It’s a song that can instantly lift your mood up and make you feel good. The lyrics are about a relationship that lasts because it feels right. The song talks about staying together through tough times and mentions all the positive feelings that love brings. The lyrics are an interesting echo to the traditional wedding vows that couples take. The song has a strong baseline and is faster than the other songs we recommended. Listen to it and decide if this is something you could dance to. Tina Turner also recorded a cover of this song. 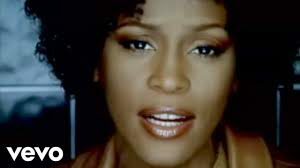 Her version is a more modern take on this soul classic and R&B and electro-pop influences can be heard throughout the song. “All My Love” is an original option or a first dance song. This is a classic rock song that would fit perfectly in your wedding reception if your playlist mostly features rock songs. The tempo of the song is much slower compared to the band’s usual style. 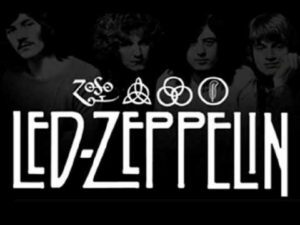 The song is easy to dance to and showcases the Robert Plant’s powerful vocals. The synthesizer solo in the middle of the song gives “All My Love” a unique feel and establishes it as a powerful rock ballad. 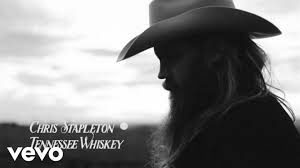 “Tennessee Whiskey” is a classic country song that has been recorded by many artists. The Chris Stapleton version has become a popular first dance song. It’s a fun and original choice that your guests won’t expect to hear. This song is a perfect fit if you want to have a country-themed wedding. The lyrics are about a man who compares his lover to Tennessee whiskey. This is an original metaphor that breaks away from the themes you would expect to find in love songs. The slow tempo of the song makes it easy to dance to. Lana Del Rey’s almost dreamy vocals tell a powerful love story in “Lucky Ones.” The song is about a love that defies all odds. This song is perfect if you want to express how special your love is. 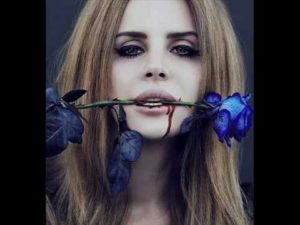 Lana Del Rey is an interesting choice of your first dance song since her style has been influenced by so many classic artists. Her style fits in the pop category, but her vocal style is strongly influenced by jazz. We like this love song because it blends different genres and the lyrics tell a story. “XO” is a beautiful R&B power ballad. You can recognize Beyoncé’s dancehall and electro-pop influences in this song. Her vocals sound raw and emotional and even evoke desperation at some points. 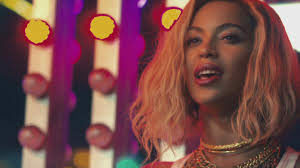 This is a powerful love song that is perfectly carried by Beyoncé’s unique voice. We think “XO” is perfect if you want a modern first dance song but want a song that has all the impact of a timeless classic love song. This is a mid-tempo song. A slower ballad might be a better option if you aren’t a strong dancer, but “XO” is a great choice if you feel comfortable with a mid-tempo song. “My Love Is Your Love” is a fun song that celebrates a union. The lyrics talk about two lovers who are sharing a life together and how their love for each other becomes intertwined. There are a lot of beautiful images in the lyrics that evoke how you will feel on your wedding day. We think this is an original choice for a first dance song. You can hear the song’s reggae, hip-hop, and soul influences. This is a mid tempo song that will set the tone for a fun reception. Sade’s mesmerizing voice is perfect for a first dance song. Her material fits any romantic occasion, and “By Your Side” is particularly suitable for a first dance song since the lyrics are about commitment. The song talks about staying together even though things get tough. It’s a song that celebrates unconditional love, and some of the imagery used in the lyrics will echo your wedding vows. The song has a slow tempo and will create a magical moment as your guests listen to the amazing lyrics and vocals filled with emotions. 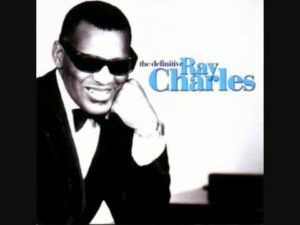 Ray Charles’ deep and powerful voice brings life to the lyrics of “Come Rain Or Come Shine.” Choosing this classic love song as a first dance song will create a moment that you and your guests will remember forever. The slow tempo of the song allows you to pay attention to the lyrics and fully take in their meaning. It’s a song about being together no matter what. We think “Come Rain Or Come Shine” is a song you can listen to any time you want to reaffirm your wedding vows! Your entire wedding reception playlist is something you need to put some thought into. Your first dance song is perhaps the most important part of this playlist. Here is how you can choose the right first dance song. Choosing a first dance song is a process. Take the time to read the lyrics of different songs. Look for a song that speaks to you and your fiancé. A song might not stand out the first time you listen to it or read its lyrics. Give it some time. You might realize later that the lyrics are a perfect fit for your relationship. Choosing a song with meaningful lyrics is important. You will listen to your first dance song again and again throughout the years. A love song with meaningful lyrics will help you remember everything you experienced on your wedding day. If you choose a song with lyrics you don’t connect to, it might be difficult to recapture all the emotions you felt on your wedding day. Your first dance is a very symbolic part of a wedding reception. You want your guests to remember the lyrics of the song you picked because it will help them understand how you and your fiancé feel about each other and the lyrics of the song will allow your guests to share your love for a few minutes. Some couples see dancing in front of their guests as a fun opportunity to express themselves and show their best dance moves. Others feel nervous about their first dance. An upbeat song can set the tone for a fun wedding reception and allow you to share your energy and positivity with your guests. However, not everyone will feel comfortable dancing to a song with a fast tempo. If you want to choose an upbeat or mid-tempo song for your first dance, practice dancing to it with your fiancé. If you are not a strong dancer, think about working with a dance instructor so you can create a fun choreography for your first dance. Couples often choose a slow song for their first dance. This is a safe bet if you aren’t a natural dance or simply feel that a slower tempo will be more romantic. There is plenty of music that is made to be easy to dance to. Explore genres such as smooth jazz or lounge music if you want a timeless classic. If you want something that is more modern, look into sentimental ballads. Artists such as Sade, Celine Dion, Billy Ocean, James Blunt, Amy Winehouse, and even Carrie Underwood are known for their ballads. Modern indie pop music artists are finding inspiration in this genre. Listen to songs from artists such as Hozier, Sia, Ed Sheeran, or The Lumineers if you want a modern indie pop song. Your first dance song is something you and your fiancé should both enjoy. The song should be meaningful to the both of you. You might already have a special song. The song might be linked to a special memory or be meaningful to you for another reason. This song could be a great first dance song. Think about making a short speech to tell your guests why this song is meaningful to you and your spouse. If you have a musical genre that you both enjoy, look for romantic songs in this genre. Take the time to explore songs from your favorite artists. Finding your first dance song is a process. Take the time to listen to as much music as possible as a couple, and look for songs you can add to your reception playlist during your search for a first dance song. Have fun discover new music together. If you can’t figure out which song is a good fit for your first dance, opt for a classic, timeless love song.